The Municipal Services Delivery Program (MSDP) is included in ADP 2011-12 bearing ADP No. 876 with allocation of Rs. 520 Millions. PMU is an integral part of this Program.The PMU will be responsible for the overall implementation of MSDP in Khyber Pakhtunkhwa Province. 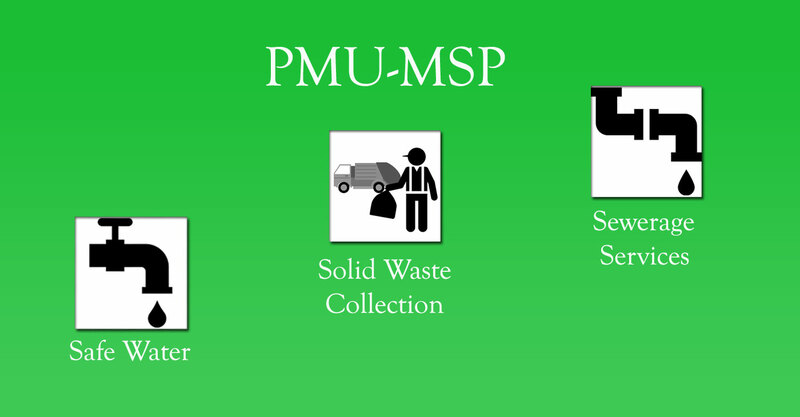 The PMU will plan, design, implement and monitor various interventions under the MSDP e.g. improvement in urban drinking water supply, sewerage, drainage, solid waste management etc. in small and medium towns and cities of Peshawar, Malakand and Dera Ismail Khan Divisions. It will also build the capacities of city/town municipal administration for effective urban municipal services planning and through local citizens‟ participation in the planning and execution of various activities. In addition, the PMU will help establish a collaborative partnership between GoKP and donor agencies willing to support municipal services delivery in the future. Last but not the least, the PMU will act as secretariat to the Program Steering Committee, which will make all key decisions and accord approval to sub-projects under MSDP. The objectives of MSDP are in line with the Provincial Comprehensive Development Strategy as well as the national and provincial policies with respect to drinking water and sanitation. The establishment of PMU is also in line with the institutional arrangements agreed between GoKP and USAID which is providing a major share of the funding for MSDP. GoKP is in the process of enabling various city/town administrations of the province to meet challenges arising out of rapid population growth and urbanization. With growing population, the need for municipal services is growing steadily. In addition, the old infrastructure is in a dilapidated condition because of poor maintenance and upkeep and lack of financial resources. Key areas of municipal services that require major upgrade and rehabilitation include drinking water supply, sanitation, solid waste management and street lights; urban planning and land management; municipal finance; and other emerging urban municipal management sub-sectors. As an initial step, the GoKP has designed a comprehensive program to improve municipal services delivery i.e. MSDP.The Program will be implemented in the cities and towns of Peshawar, Malakand and Dera Ismail Khan Divisions and as and when additional resources are available, will be extended to other cities and towns of the province. MSDP will support local governments in selected cities and towns which are presently highly pressurized due to influx of population and recent floods, in improving the development and management of various municipal services. Urban development and management in general and municipal management in particular is the primary responsibility of local government whereas the Provincial Government plays an important role in policy formulation and strategic planning and introduces mega-projects to implement strategic interventions that are usually beyond the capacity of local government. This is also critical given the fact that Provincial Governments in all four provinces are bringing widespread reforms in their respective Local Government Ordinances. Normally, government departments and agencies are preoccupied with construction of small infrastructure projects. Many times they lack the requisite skills to implement large scale infrastructure development programs that include institutional capacity building and citizens‟ engagement. For this reason, MSDP will require a dedicated management unit i.e. PMU to be successful. As per the Implementation Strategy of MSDP, a PMU headed by a Project Director and assisted by various Sector Specialists will play a vital role in the successful implementation and completion of MSDP. The project activities and works will be executed through concerned city/town administration, project committees, consultants and construction firms and contractors as per their capacity/capability to be assessed at the time of their selection. The LG&RDD, being the Administrative Department, will be tasked to ensure smooth implementation of the project within the stipulated time frame. The PMU will administer, coordinate, monitor and implement the project activities/works with reference to their proper identification, selection, preparation of detailed cost estimates/designing of PC-1 and approval from the competent forum. In order to ensure smooth and speedy implementation of the project, the overall program will be governed and managed through three tiers management and institutional set up.The PMU will work with the municipalities to facilitate citizen review of identified activities list to prioritize its implementation. Once this list has been finalized, the PMU will use mutually agreed contracting mechanisms to tender the design and implementation of the infrastructure upgrade schemes. Within the scope of activities that have been approved for USAID funding, the specific details and procedures for implementation will be determined by the GoKP in consultation with USAID/Pakistan through PSC. Preparation of Master Plan including GIS Mapping, surveys and related technical studies suggesting feasible proposals. There is a need for proper design of such systems to cater for the requirement of at least 30 years. However; wherever possible, provision will be kept in design for discharge of storm water and channelizing the same to the storm water drains. The PMU will manage governance related improvements vis-a-vis service delivery at the city/town administration level. GoKP, through the PMU will use contracting mechanisms to design and implement infrastructure upgrade schemes. The Project Director of PMU will supervise the design and implementation of all activities under MSDP through the overall guidance of a PSC. Within the scope of activities that have been approved for USAID/Pakistan funding, the specific details and procedures for implementation will be determined by the PSC. Representative of USAID/Pakistan will participate in the PSC PRB as an “observer”. 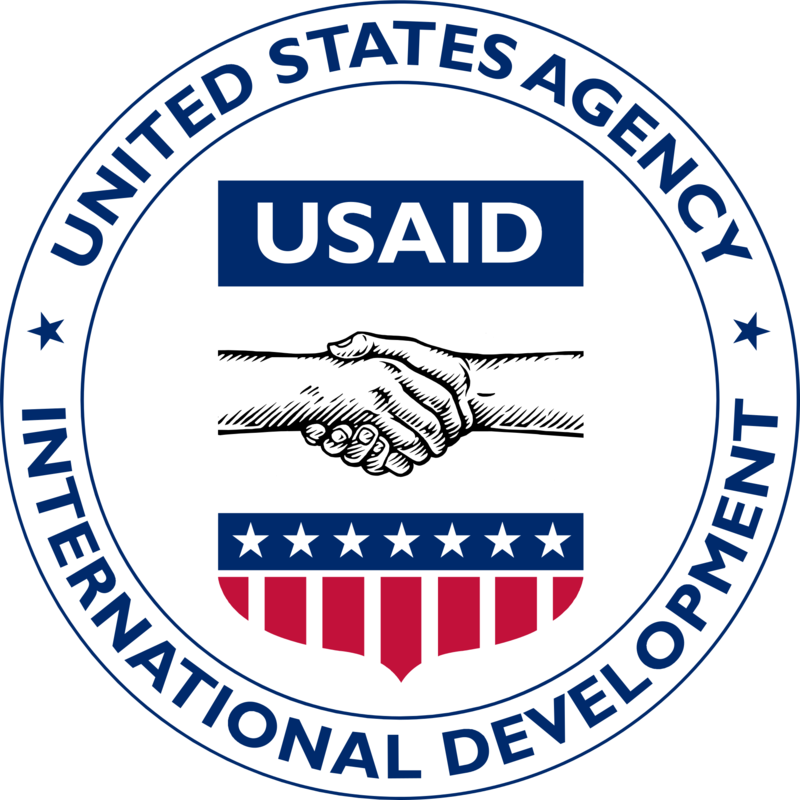 In addition, MSDP will focus on capacity building of city/town administration through USAID/Pakistan partners such as the USAID funded Assessment and Strengthening Program (ASP). Institutional reforms will be introduced in relevant government entities including city/town administrations along with capacity building of staff to help them manage quality of works, public awareness, community & private sector participation, consumer survey, MIS, billing & recovery, and operation & maintenance of services. The PMU will prepare/design, for PSC approval, the procedures required to establish necessary policies and regulations, carry out the essential surveys, facilitate citizen prioritization, introduce new management processes, tender construction contracts and arrange internal monitoring. The PMU will work with city/town administrations to identify, tender, construct and operate individual infrastructure schemes. The grant from USAID/Pakistan may fund the operations of the PMU and other GoKP costs directly associated with project implementation. However, managerial, technical and administrative positions in the PMU funded by USAID/Pakistan will be filled only by individuals who are not officials on active duty with any civil service in Pakistan, as USAID‟s grant cannot be used to supplement salaries of government officials. The PMU will act as secretariat for the PIC, PC&AC, and PSC. The PMU will be responsible for procurement and outsourcing of program activities and will provide a platform for execution of activities and disbursement of funds and will be accountable for the project accounts. The PMU will be headed by a Project Director who will be assisted by a core team of qualified and experienced specialists, managers and officers. The organogram of PMU is attached as Annexure-2. The PMU will ensure that all the project staff is hired/engaged as per standing policy of the Government of Khyber Pakhtunkhwa. However, any posting (BPS 17 &above) to be made on deputation basis, shall be approved by the ACS.